This entry was posted on November 2, 2013, 12:33 pm and is filed under Innovation management, Multidisciplinarians. You can follow any responses to this entry through RSS 2.0. You can leave a response, or trackback from your own site. In college Feynman use to hang out with the philosophers so I imagine he got, more or less, his fair share of “philosophy of science 101″—you might have been giving a bit less credit than is due there. I very much enjoy and dedicate a lot of my time to philosophy, and Feynman may have been an awesome guy, but he wasn’t perfect. So I hope you don’t think I’m too biased. There is a certain practicality that comes with conversation and because people, or scientists, talk about certain topics covered in philosophy I don’t believe that necessarily them a philosopher. Then again this is another debate up for “philosophy!” While this argument goes go people are going to ask me what I mean by, “practical conversation,” and so on goes the conversation. The point is that this article isn’t necessarily arguing that Feynman is a philosopher, it’s arguing that you believe philosophers are defined by these particular things and since Feynman participated in them, he’s a philosopher. I have a belief that serving burritos at McDonalds makes you a philosopher. Now, I then invite people to dispute this and anyone who disputes it is also a philosopher. It’s this kind of thing that Feynman would dismiss as nonsense and completely unpractical, and go about his business while other people like me and you dispute if these activities he’s engaging in necessarily makes him a philosopher. So, let’s begin by defining philosophy of science because this blog is aiming at needs to do that. An interesting question that came up in the discussion of your post on reddit, that I would like to pose (in slightly modified form) to you. If you were in charge of building such a class for scientists and engineers, what would be the textbook for it? Alternatively, if no textbook exists, what would the list of topics/readings be? I think such a list — along with a few sentences of justification for each point — would be of great value to scientists wandering into the philosophy of science. I know that I would appreciate hearing your suggestion for a curriculum. What a great question, Artem. I’ll give that more thought with intent to write a more thoughtful reply (I’m on the road for a few weeks at present). I had a brief look at the reddit discussion. I don’t have time at the moment to participate there but would like to note, in clarification to a point raised there, that I definitely did mean that that studying philosophy might make MUCH better engineers, not merely that it might make engineers better at philosophy. Kuhn and Feyerabend would be the biggest chunk of it. Philosophy of probability, Bayesianism and criticism thereof would also get a lot of attention, especially if I were targeting engineers directly. I think preparing that curriculum and delivering the course would be about the best job I can imagine being charged with. 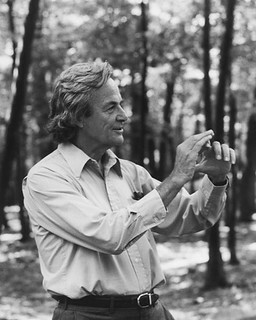 reading your essay, and the comments of others, has compelled me to want to scream “you were so right mr feynman.” the arguments and justifications made remind me so much of those made by folks attempting to reconcile and or integrate religion with science that i wonder if philosophy is really religion adjusted to updated understanding of nature. not to say it’s unimportant: being a better person often proves – for the vast majority of us – to be far more important than being a better scientist or engineer. it’s just a waste of time trying to mix the two things together. how silly does “religion of science”, or “science of religion” sound? better to got after things like justice than waste so much effort in this rathole. Einstein and Feynman are nothing but frauds and propagandists who promote just another form of religion. I’m not seeing much connection between most religion and most science. Most science has no appeal to higher purpose. Most religious practice assumes the existence of such purpose. Einstein certainly wrote a lot of opinion that many would call poorly motivated. But that isn’t what we celebrate him for. I don’t see much connection between special/general relativity and religion or propaganda. Feynman seems more immune to the accusation of religion than anyone else I can think of. On what basis do you find his work to be religious? I think the thing that solves a lot of the contradictions/arguments/tensions between ‘science’ and ‘philosophy’ is about what are scientists really creating. I’ve been telling this most of my life. (Before I continue: I’m originally a physicist, but also like philosophy.) Scientists do not describe the world. They create models, that can be described in ways fit for being ‘scientific’ (this mostly means mathematical) and thrive to create a model that a) describes what we can observe and measure as closely as possible b) can make predictions that are not just some form of replication of the things we have put in them directly. Einstein created a model that could describe things that did not fit into contemporary models. That’s the part of fitting. A prediction of that model was the effect of gravity on light. So his real statement was. “Look, if this model is close to how nature works, this effect should be observable.” There can be multiple models describing what he already know, or have observed. To chose the best ones, we expect predictions and chose the model that give the most ‘new’ things. When we get a mixture of good and bad predictions, we try to keep the ‘working’ parts and improve the ‘bad’ parts. Same goes for Feynman. His models included glouns that could not be observed and measured at the time. That didn’t make his model phylosophy. Just one with, at the time, unobservable predictions. We had to wait decades for LHC to start creating practical amount of quark-gluon plasma to get feedback on a lot of things. Back to models in general: If you look at scientific activity as building models, the distance between science and phylosophy is much less. Both try to create some construct that describes our world. The real difference is between the tools used and the need for reproducible results and predictions. Moreover, science tries to use as exact tools as possible (maths wherever possible) while philosophy uses words and languages. The latter is very flexible and undefined. Every human has a different way of using words and languages and thus you will never be able to exactly reproduce the thoughts of one person in another. This is not a good/bad differentiation, just a categorisation. You can be pretty sure, that when you read the ancient greek philosophers, you are thinking about different things. Yes, they will be similar. Possibly even very similar. But never the same. On the other hand, Euclidean geometry hasn’t changed a bit and when you learn about it in school, you are exactly thinking about same things. My personal view on Feynman’s approach on philosophy: There is a big difference between ‘philosophising freely about “things”‘ and trying to approach the world from a philosophical point of view. It’s easy to say things that sound philosophical, but have little or no value, and this lures a lot of people into it with the false sense of achievement. I think, the latter is the area he didn’t really like. It was an era when (as you cited) people redefined anything based on such axioms as ‘make love, not war’ or ‘anything up to today was male chauvinist’. I think that Feynman had a philosophical (but not Philosophical) turn to his head. In other words, broader thinking about motivation and method and how to think. For instance, look at his story of a child buddy bragging about knowing names of some birds–the point was not to learn names but to understand what birds do. Or the story of the guy who developed all the controls for rat experiments but of how many psychologists did not do the controls but just ran rats and deducted results which could be off from not doing controls and not even being aware of the guy. Or of “try to avoid fooling yourself”. But not citing Kuhn and the like. And I really prefer that lower case stuff. Thing is is more worthwhile. 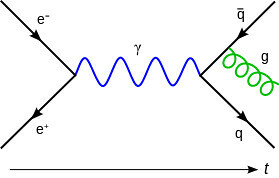 Then Feynman thought so to. Think he was right to think so. So I get the disdain for capital P philosophy. Yep. Add to this Feynman’s anecdote about the Aliens, which explains Bayesian (inductive) thinking very well… there is no falsification in his story, just likelihoods.. I guess I am missing something as I dont see the fuss about the demarcation problem. As Laundan argued, why does scientific knowledge need to be epistemically distinct from other knowledge? And in particular if one works within an inductive framework, isn’t it enough that some theories, whether designated as being scientific or not, are designated as having low probability. Sometimes vanishingly low. I do understand that there are funding issues etc for calling thing science, but isnt that an issue for policy makers? Why is it an issue for philosophers? And on that, what is wrong with a philosphy of science/knowledge that does not recognise demarcation as being fundamental but considers it a matter of definitition for anyone to make, and what is wrong with someone then chosing falsification not as a philosophy but as a manner of defining the demarcation? If all scientists were like Feynman he might be on on something.